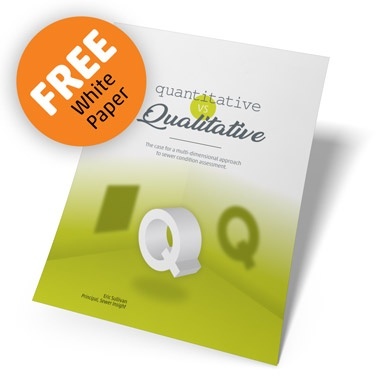 Get the Full Picture with Qualitative Analysis. We all want simplicity, but sewers fail in complicated ways. Rather than focusing on an isolated metric, like estimated infiltration rate, sewer condition assessment and rehab planning demand a qualitative approach—one that accounts for a broad range of observations. We're excited to share a new white paper from Eric Sullivan at Sewer Knowledge. In it, he discusses what quantitative and qualitative mean in sewer condition analysis, and presents case studies for each: FELL-41 and CCTV.